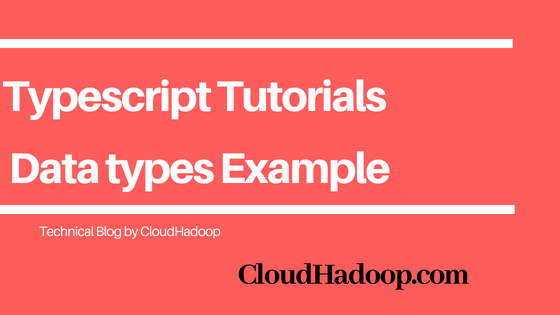 variable names are valid names datatypes are either builtin type or custom data types like object. isValid1 and isValid2 are not valid values. and gives Type '213' is not assignable to type 'boolean' compile time error. Typescript has no integer, long but it has number data type which is by default floating number. We can represent integer and floating values in number data type. Enum is to represent the collection values stored under one name called Enums of items. It is the Enumeration of items. void means nothing. The void is used in return type of methods/functions. Void in method means doesn't return anything.